The room looks out over the garden and has a king size bed, which can be separated to make a twin room when needed (2’6″ singles). 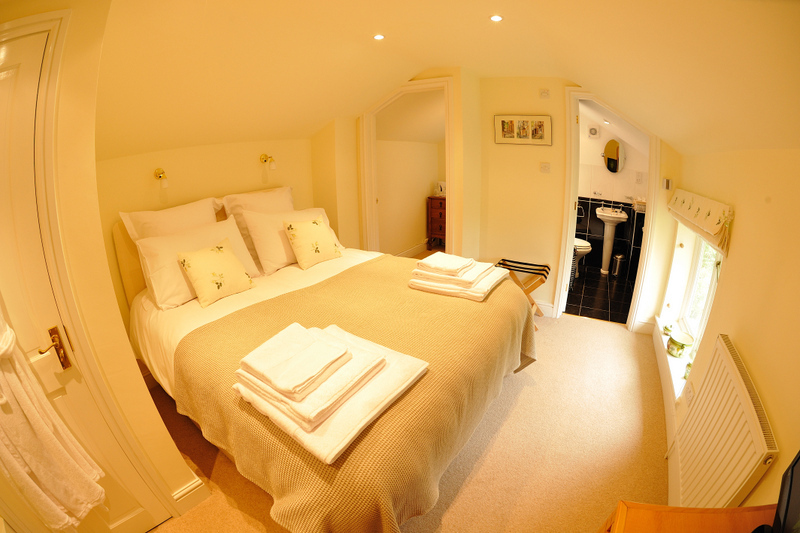 This room has a separate walk in dressing area and an en-suite shower room. White Cotton bed linen with fluffy towels and robes. Luxurious toiletries , all cruelty free. Tea and coffee making facilities with fresh milk and homemade biscuits.